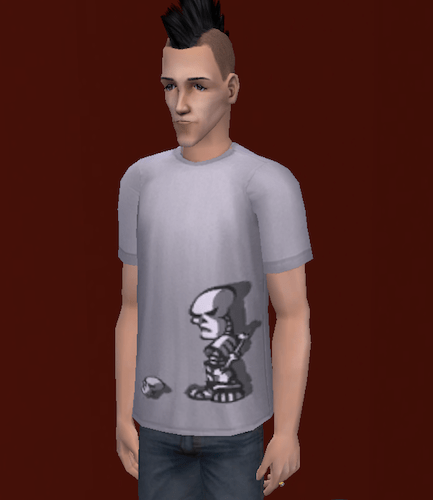 I’ve been playing The Sims pretty much since the series first came out in the early 2000s. 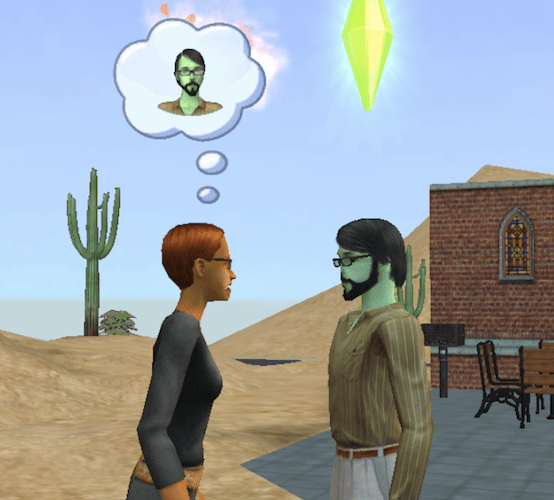 There was even a time when a site I ran about the exploits of my Sims was way more popular than my own online journal. 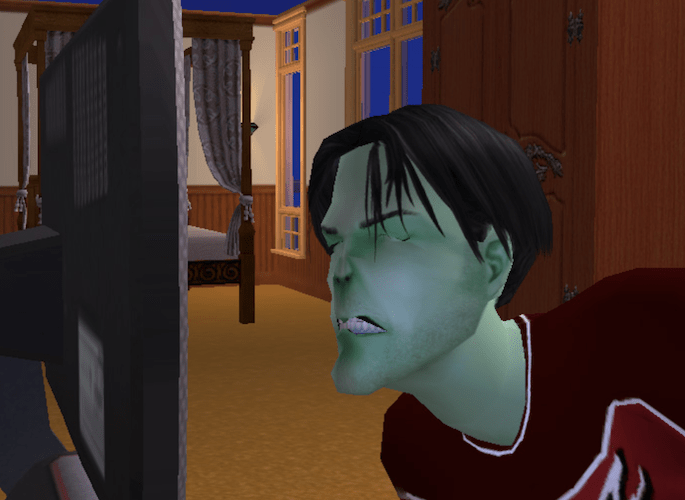 I’ve played 1, 2, and 4 (I never felt confident my computer could handle 3 and besides, those Sims are ugly), but the Sims 2 pulls me back time and again. Yes, it’s got lots of drawbacks compared to the later versions; I’d never argue otherwise. 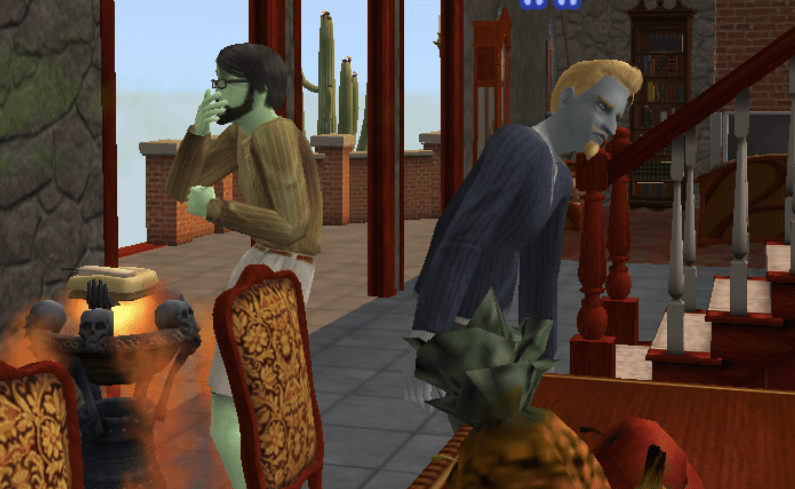 But after all these years, I still love playing the premade families and their bizarre, interlocking stories. 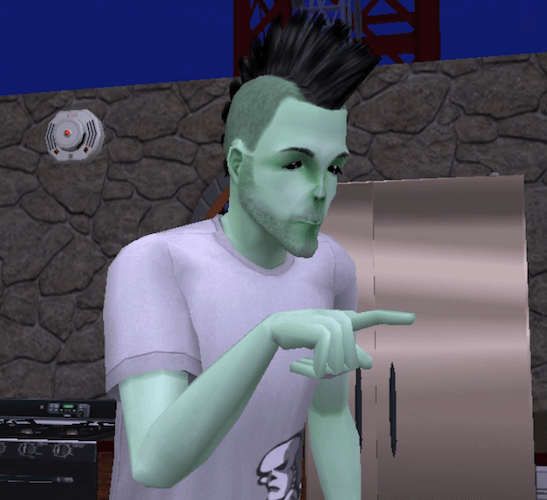 In particular, I love Strangetown’s Nervous Subject. 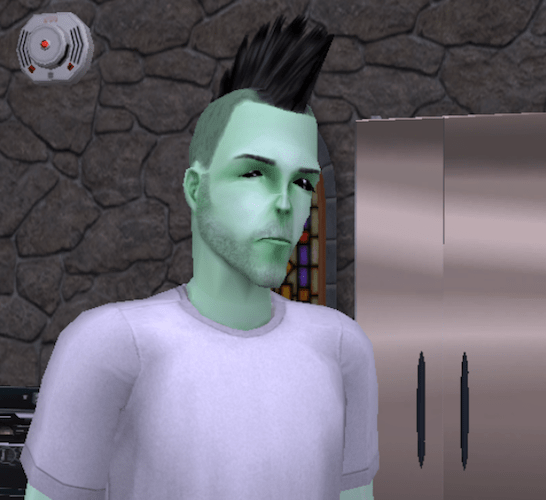 I adore him and his Mohawk and all his sad-eyed weirdness and quirkiness. 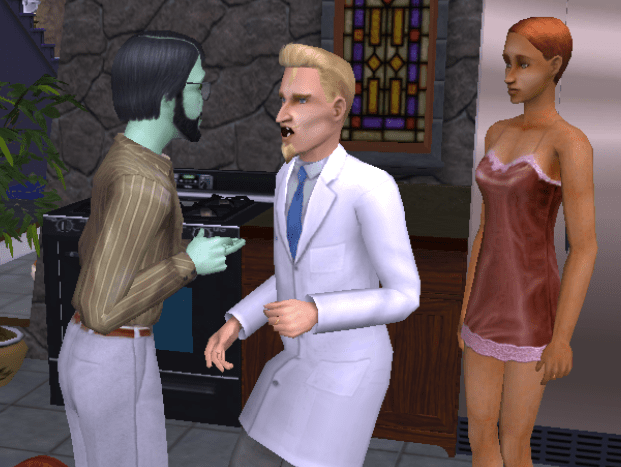 If you aren’t familiar with the Sims 2, Nervous’s game-given backstory is that Circe and Loki Beaker, a married couple who are both extremely smart and incredibly mean, took Nervous into their home and subjected him to all kinds of awful experiments, robbing him of his original personality and messing with his head. Oh, and also? 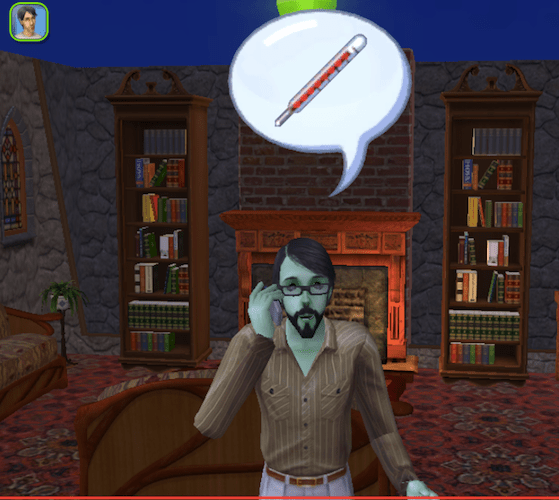 His birth parents are Olive Specter, who is by general belief the Strangetown serial killer … and the Grim Reaper himself. Gee, I wonder why I’m so drawn to him? 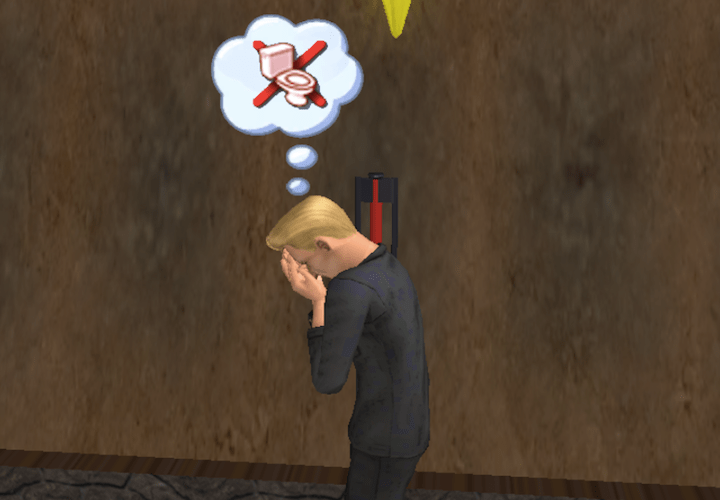 Whenever I start a new save of Strangetown, I almost always begin by getting Nervous out of the Beaker house and into a more favorable situation. 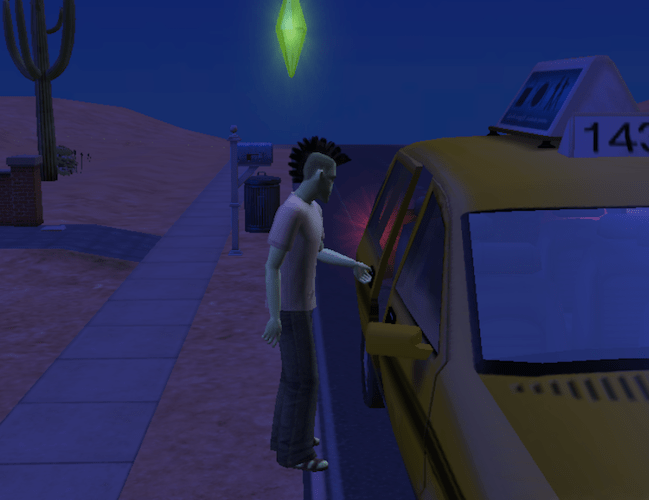 But in my early days of playing Strangetown, I sometimes wondered: Didn’t the other Strangetowners know what happened to him? Weren’t they at least curious about what was going on in that big spooky mansion? Why didn’t they do anything? And I started imagining what would happen if one of his kids found out about what the Beakers did to him–and decided to extract some payback. My name is Moon Subject. You may not know me, but you almost certainly know about my father, Nervous. 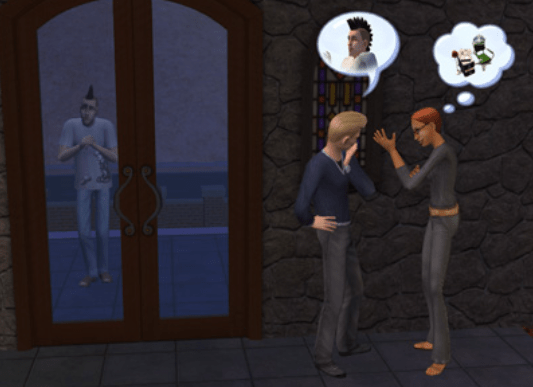 After all, everyone in Strangetown seems to know about the extremely odd, shy man who once lived with Loki and Circe Beaker. But most of them do not know what happened to him afterwards. Years ago, after he’d left the Beaker household, he was abducted by aliens. Although the inevitable outcome of alien abduction of adult males is quite well documented, I’m told that Nervous was very surprised when, three days later, he gave birth to a son. Me. And this was likely one of the less traumatic things that had happened in Nervous Subject’s life up to that point. His mother Olive Specter was a foul-tempered harridan on a good day, and rumors about what had happened to her many husbands–and others who crossed her–were all over Strangetown. She lost custody of my father while he was still quite young. That may have been the only lucky break my father got in his early life. And then there were the rumors about who his father was. I didn’t–and don’t–understand how such a thing could even be possible. But what is indisputable is that my father had no parental figures growing up. He was very, very easy prey for selfish, amoral people. People who needed a test subject who wouldn’t be missed by anyone, and who nobody would care to protect. Even his absurd name, “Nervous Subject,” was something those people gave him. My father never seemed bothered by this. He claimed his name before that had been “Baby Boy Specter,” and at least Nervous Subject was memorable. He stayed with those people until a young woman named Andie Jones, who was researching some of Strangetown’s legendary stories for a book she planned to write, interviewed him. It wasn’t easy to keep meeting him privately without the Beakers catching on, but she felt drawn to him. It took her a long time to gain his trust and an even longer time to convince him to leave the only home he’d ever really known, but eventually my father moved in with her family. I was born in her house, and she helped raise me. “Helped,” in fact, doesn’t do her justice. She raised me. My father helped. A bit. It’s not that he’s ever been a bad father to me; I do believe that he cares for me and that he’d like me to have the parental support that he never had. It’s just that never having had that support himself, and indeed after suffering years of abuse, he doesn’t understand how to offer it. He shows affection sporadically, when I’m not expecting it, and it always seems like something he’s doing because he believes he’s supposed to. And he cannot relate at all to most people. 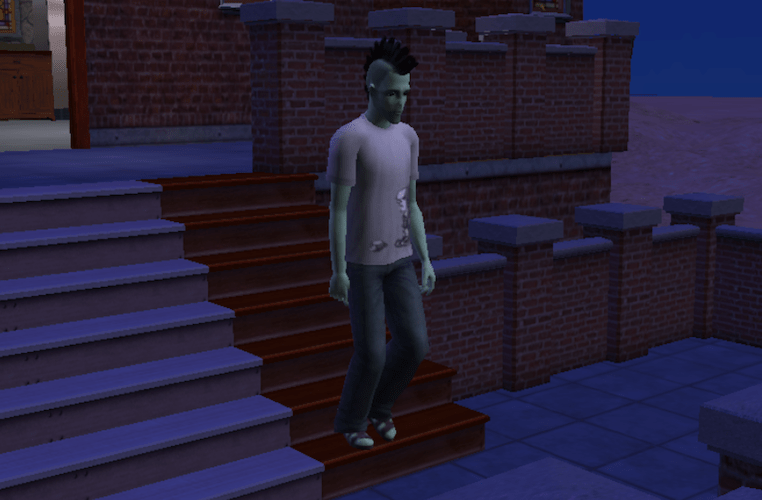 He scowls at them when they attempt to be kind and wanders away in the middle of conversations. Most people don’t bother to get to know him. 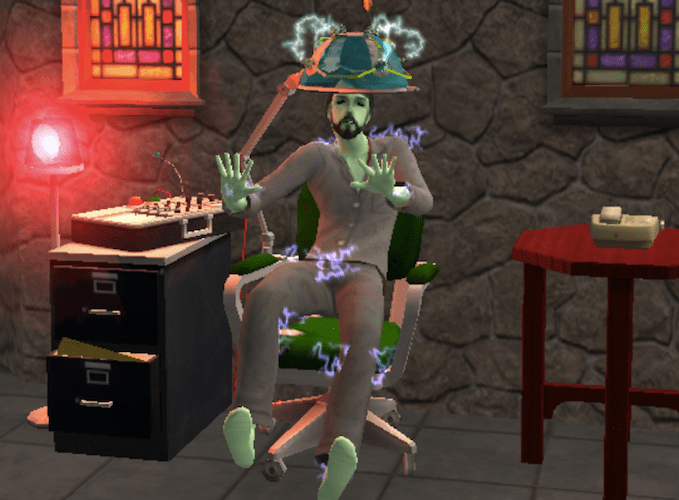 Even for Strangetown, he is just too strange. Growing up, I figured out quickly that something wasn’t right about my father, but nobody would tell me what had happened to him. I overheard little snatches of conversation that broke off when I approached, but nothing more. At college I started looking around on the Internet, searching Strangetown message boards and digging into online information archives until I found out the truth. How my father had started life as a friendly, outgoing boy, and why he had turned out the way he had. I wanted to scream. I wanted to break things. I wanted to hurt someone. I told my father to file charges, to make sure his tormentors couldn’t do that to anyone else again, but he’d have none of it. He’d put all that behind him, he said. He wanted nothing more to do with that part of his life, or with those people. I wasn’t willing to let things go that easily. In college, I told the registrar that my ambition was to be a mad scientist. She chuckled at that, but I was quite serious. I want to be a scientist … and I’m very mad at someone. Two someones, to be specific. These two had been obscenely lucky; without my father’s word, nobody could prove they’d done anything. And yet everyone seemed to know what they’d done. The rumors and stories were all over the Internet and all over town. 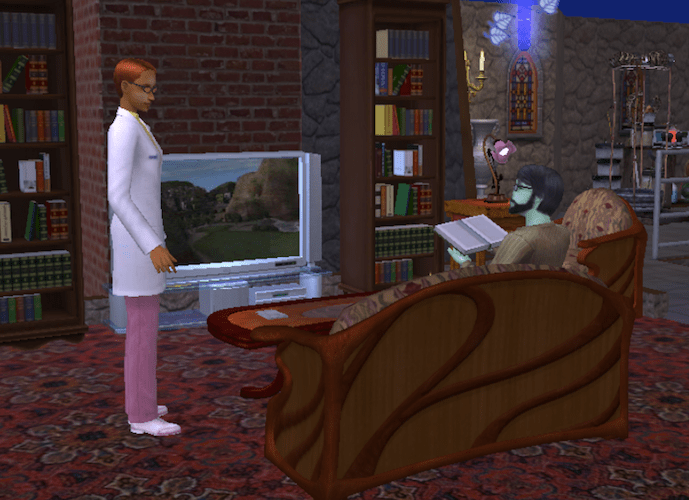 And that was why I arrived at the Beaker mansion shortly after graduating from Academie Le Tour. 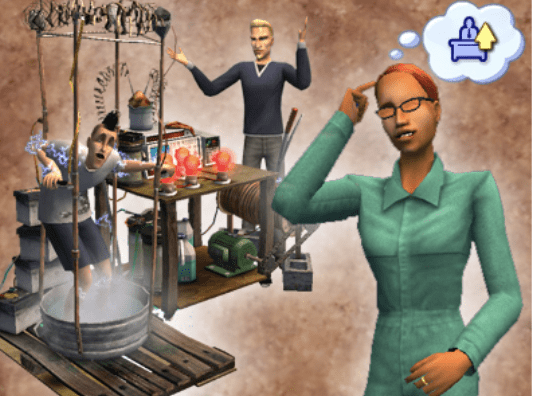 Loki and Circe Beaker had had little luck hiring new “research assistants” over the years; nobody in Strangetown wanted to subject themselves to the same torture my father had endured at their hands, and the few who were foolish enough to do so left the Beakers’ employ rather quickly. The Beakers looked quite happy when I answered their “Help Wanted” ad and told them I was Moon Thompson, a recent graduate looking for something beyond the standard entry-level science positions offered via Strangetown’s online job site. 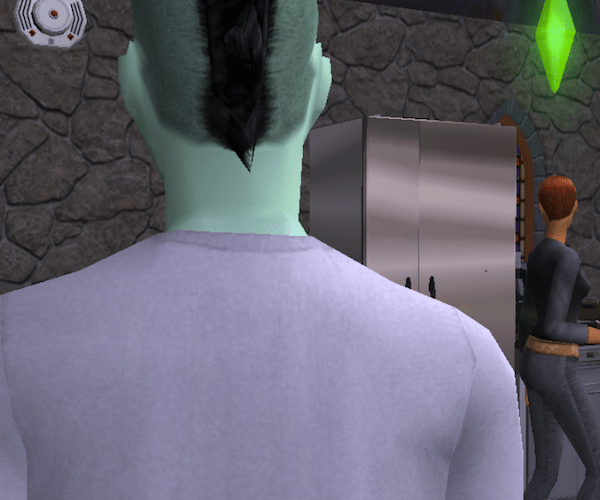 Loki seemed particularly intrigued by the opportunity to work with an alien hybrid. “And where is your father now?” Circe’s eyes narrowed as she listened to me. “I see. Well, you’ll find none of that foolish prejudice here. I’ve heard that alien hybrids are far more resilient than their human counterparts,” Loki said with an unnerving laugh. 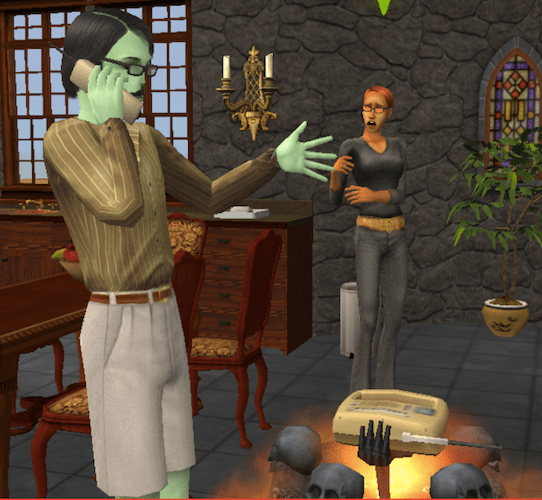 Knowing what the Beakers had done to my father, I found that remark about resilience rather disturbing. Loki’s eyes glittered cruelly under his severe brow, while Circe regarded me very coolly. Once they had offered me the position, as well as room and board in their house, I began to plan. I walked around the house, looking for anything they owned that could be of use to me. The house was enormous and dungeonlike, with stone walls and small windows that let in very little light — and prevented neighbors from seeing what went on inside, no doubt. I thought I could smell chemicals and a faint odor of seared flesh, but I might have imagined the latter. I walked down a retractable staircase and explored the deep, damp pit that had probably served as my father’s bedroom. I looked at their array of bizarre scientific stations and wondered which ones had robbed my father of his personality. 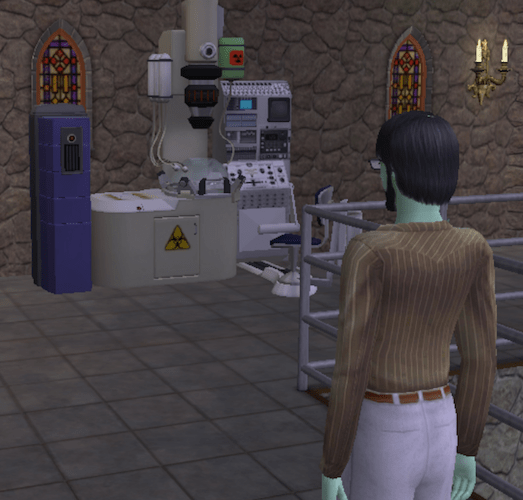 Loki and Circe began their testing on me almost immediately, and it was nearly unbearable. They subjected me to intensely painful experiments, and they berated me when I didn’t recover quickly enough to suit them. How had my father endured this all these years? Being in the house where he had suffered so much for so long was terribly difficult, more so than I’d ever expected. On some days, I wasn’t sure I’d have the mental strength to do what needed to be done. But I kept my mouth shut and my eyes open, and my vigilance paid off. Something I came to understand after spending a few days with them: Whatever their other faults, the Beakers genuinely loved each other. They were not shy about showing it in front of me. And that knowledge helped my planning immensely. I didn’t need to harm both of them. I only needed to harm one of them. 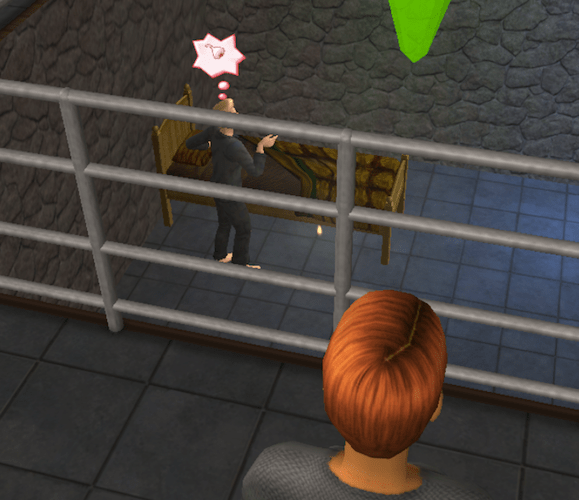 I hadn’t intended to put my plans into motion so soon, but Loki and Circe got hostile and combative quite early on. 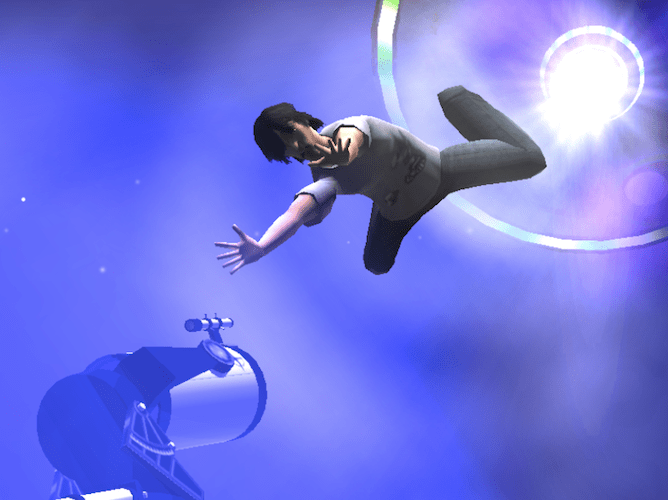 If I delayed my plan too long, I’d be too weakened from their experiments to fight back. It was so, so simple in the end: Wait for Circe to leave for a business trip, drug Loki, lure him to the same pit where my father spent his days, wait for him to pass out on my father’s old bed … and remove the staircase, as well as anything around the house that someone might use to attempt to help him out. And once Loki was safely in my father’s pit, start looking through their files, and making copies of everything. 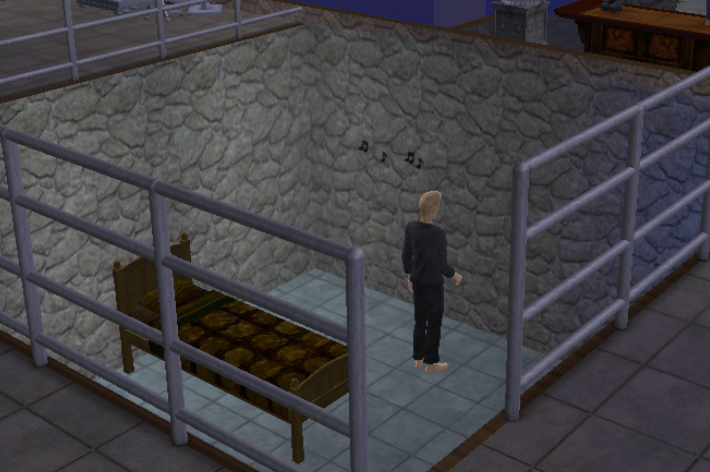 Day One of confinement: The subject hums to himself and does not yet appear to understand his dire circumstances. Or perhaps he doesn’t want me to see him in distress. 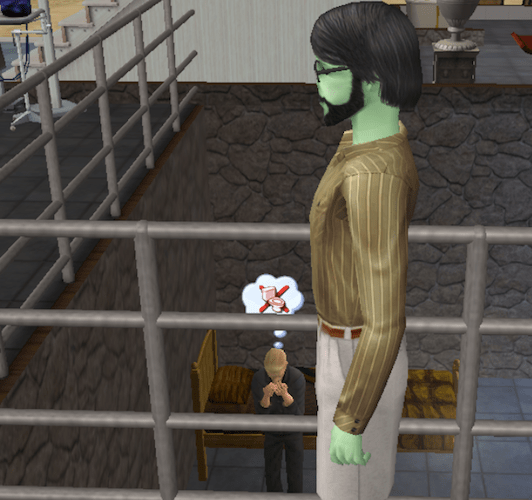 He does keep muttering that when I let him out of that pit, he’ll finish me. This doesn’t really make me want to free him. 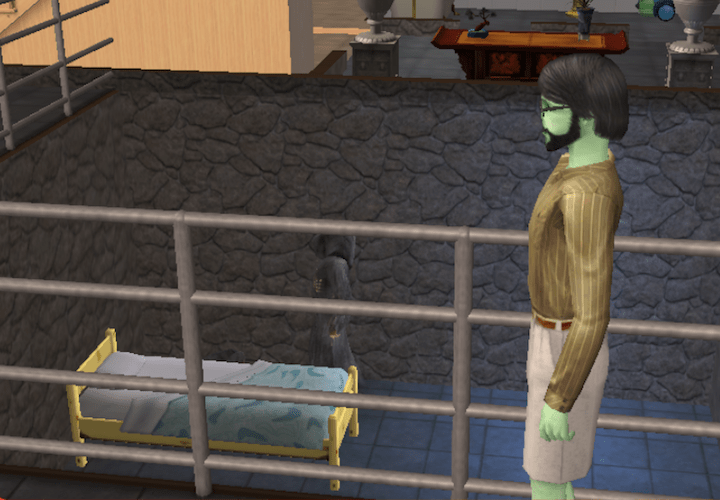 Soon enough, though, the effects of his confinement began to wear on him. 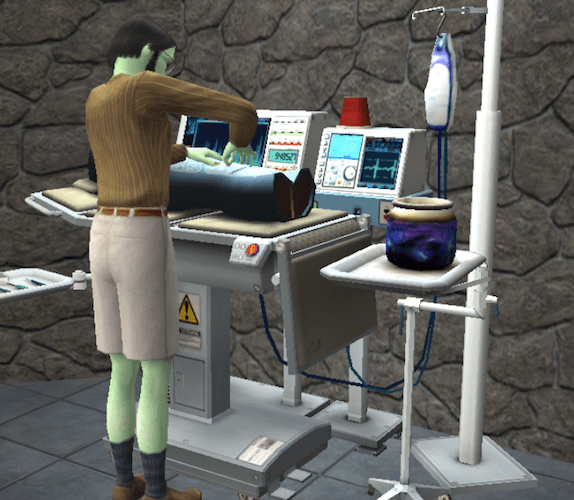 Dr. Beaker was a very, very neat Sim, and when he was forced to soil himself, it upset him deeply. His tears of humiliation delighted me. Soon after that, Circe returned home and discovered what had become of her beloved husband; this was Stage Two of my plan. I had “borrowed” a Laganaphyllis Simnovorii from college, and it was now in the pit with Dr. Beaker. This bizarre carnivorous plant feeds itself by producing a substance that looks remarkably like cake, enticing nearby Sims to grab it–and be devoured. 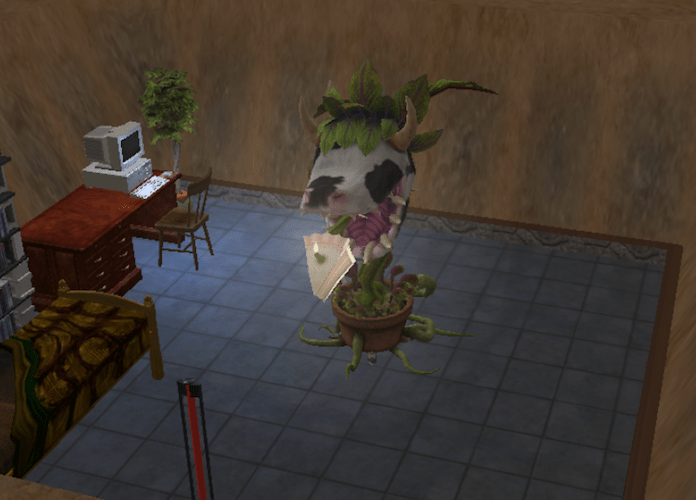 All Sims learn the expression “Beware Cowplants bearing cake” in childhood. I wondered if a starving man would throw that caution to the wind. I had, of course, thought that through already. “Why are you doing this?” she whimpered. “For science. Just like you.” That was all I’d give her for now. She backed down; apparently, even her love for Dr. Beaker couldn’t outweigh her sense of self-preservation. 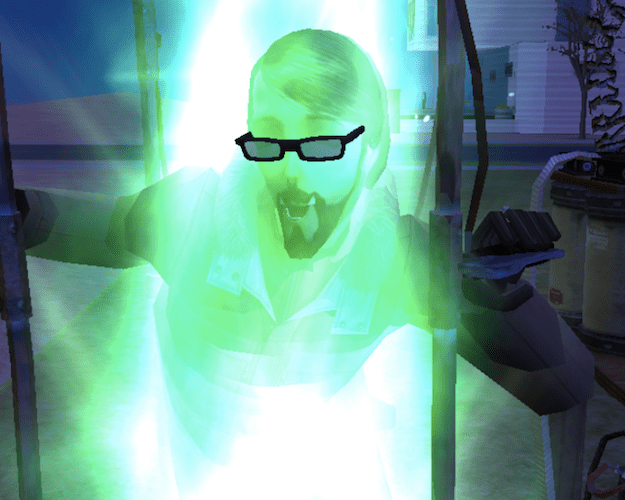 They possessed an Enigmatic Energizer, a contraption which made a user feel well-rested, clean, and fed. It turned out to be quite useful. I could easily replenish myself and remain vigilant at all times. I no longer needed to worry about what Circe might try while I was sleeping, eating, or bathing. I studied the machines they had used to torture my father. This helped to strengthen my resolve, because sometimes Dr. Beaker’s cries of hunger got to me. I was not naturally the type who enjoyed the suffering of others, no matter how richly deserved that suffering was. I was no Beaker. I noted that no matter how hungry Loki got, he simply wouldn’t touch the Cowplant. 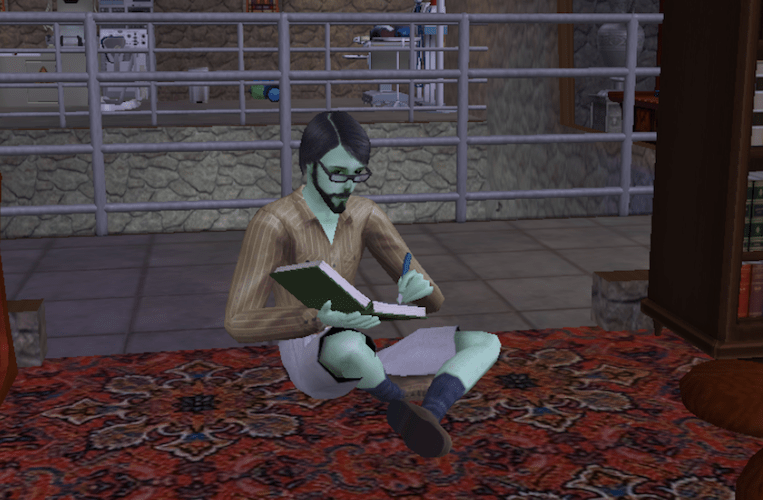 So much for a lack of prejudice here, I wrote in my journal. Aiyana, the maid, could scarcely fail to notice what was happening in the house, but my generous daily tips bought her silence. Watching the way the Beakers either barked orders at her or followed her around the house criticizing her work gave me the impression that she probably wouldn’t lose much sleep over what she might see. I listened as Dr. Beaker railed on about all the painful, messy things he was going to do to me once he got out of the pit. His voice was weakened from hunger, but his imagination was as vividly obscene as ever. He was going to cut off my “tiny green balls” and drop them in the Shock Station. 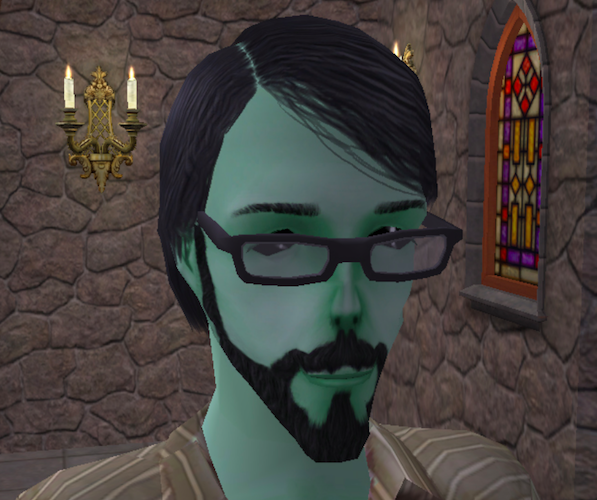 And he would call me nothing but “Assbaby,” the vile slur the bigoted like to hurl at alien-born Sims. I bought myself a television, knowing that this would further infuriate Circe. On top of all her other unappealing characteristics, she was one of those tiresome people who believed that not watching television made her superior to those of us who do. She wasn’t pleased when she saw it. She had nothing to say to that. I had greatly underestimated how cold this woman was; she could sit in the kitchen and eat while her husband’s cries of hunger emanated from the pit and rang throughout the house. When she ignored her husband’s sobs and went about her business as if he was simply at work for the day, I began to suspect that she had, by far, been the crueler of the two when my father was here. If she could so easily shut out her husband’s suffering, no wonder she’d thought nothing of subjecting a teenage boy to brutal experiments. 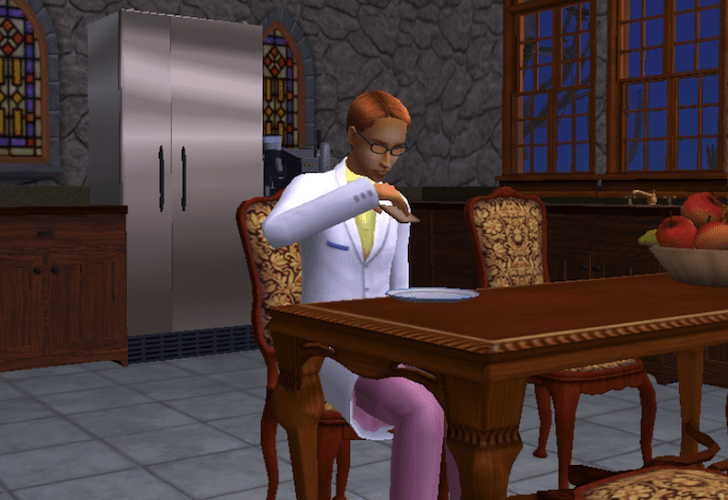 On Wednesday afternoon, Dr. Beaker finally succumbed to starvation. 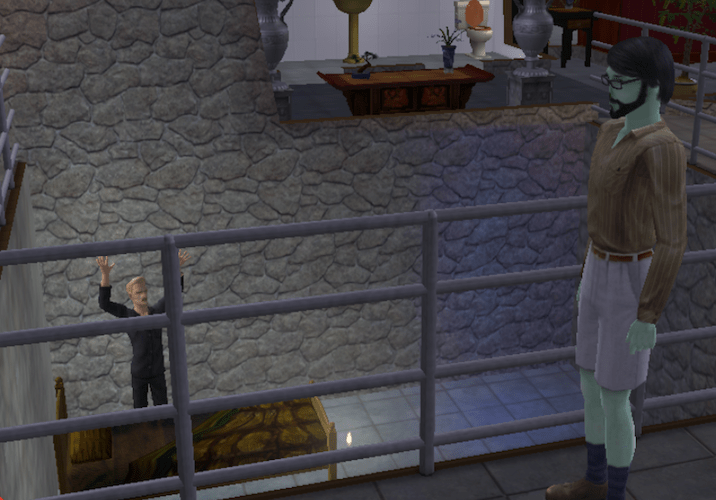 I watched from a distance as the Grim Reaper came to claim Dr. Beaker’s soul. My grandfather. Did the Reaper know what this man had done to his son? Did he care? Loki’s death finally shattered Circe’s icy demeanor. She was inconsolable. And with that, it was time for the final stage of my plan. 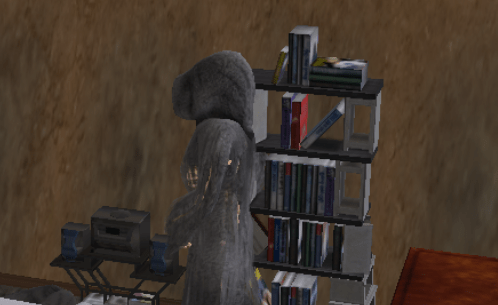 I told Circe that perhaps my research had gone a bit too far and so I would do her a small kindness. And then I approached their Resurrect-O-Nomitron, an occult telephone one could use to contact the Grim Reaper himself and bargain for the return of the dead. Why was I not surprised they owned such a dreadful thing? I wondered how many times they’d needed it in order to resurrect the subject of an experiment gone horribly wrong. I wondered if they’d ever needed to use it for my father as I picked up the receiver and spoke. “Wait … ‘Grandfather’! ?” Circe gasped as the penny began to drop. But I held firm at two thousand. Grandfather was quite offended by my paltry offer–as I knew he would be. 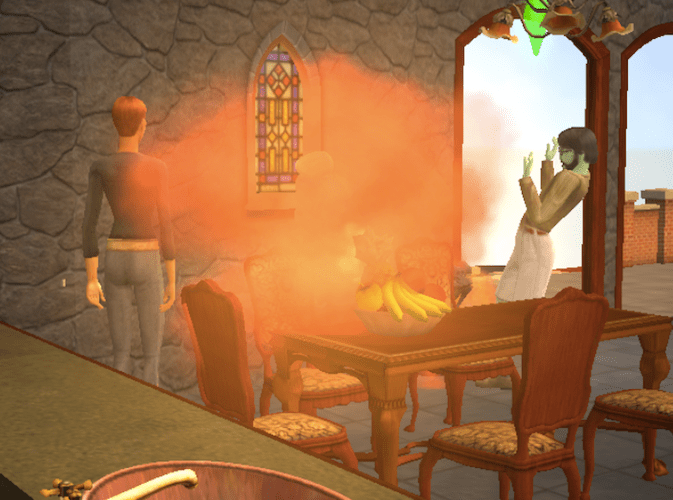 A red flash of light and a cloud of foul stench signaled his displeasure. When I got the full olfactory effect of the no-longer-quite-dead Loki Beaker, I wondered if perhaps I had finally gone too far in my quest to avenge my father’s mistreatment. Circe was sickened by the sight of her resurrected husband. As Circe had finally realized whose son I was, I felt no more need to hide my identity or my true purpose. 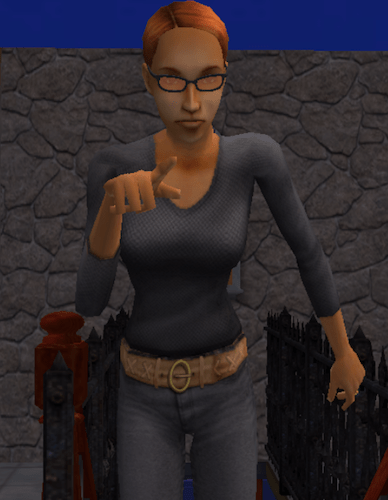 I gave myself a hairstyle and an outfit she would be far more familiar with, and then I confronted her one last time. 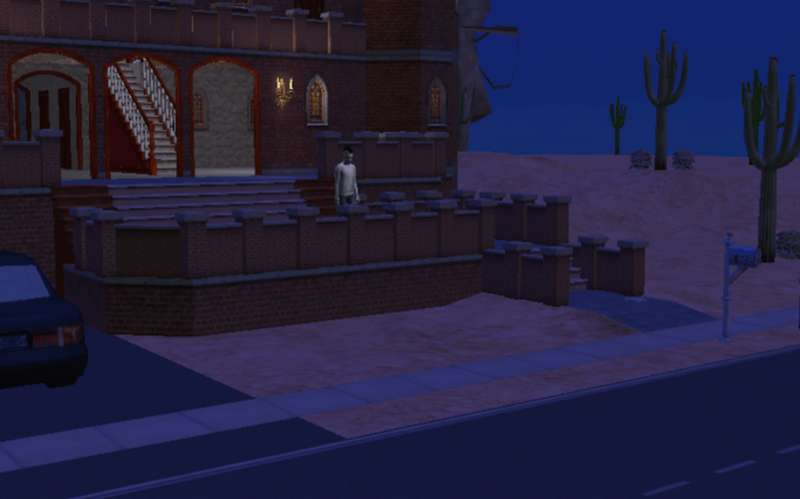 Before I left the mansion, I saw Andie herself walking by, and I hurried out to catch her. 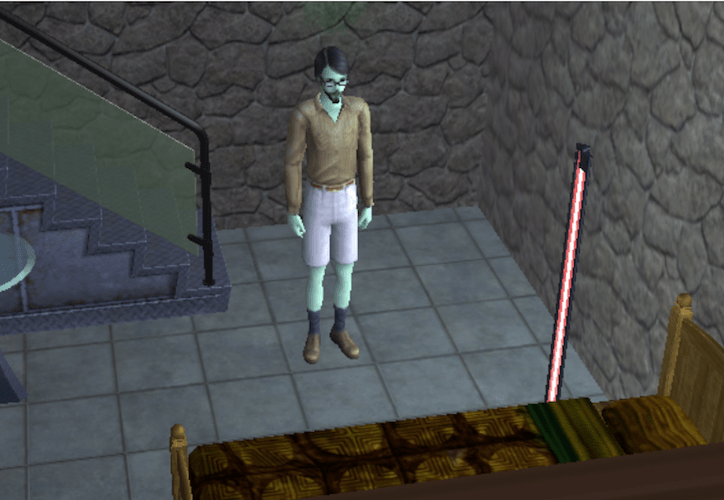 I hadn’t told her I was back in Strangetown because I did not want her to know what I was planning, and she appeared understandably surprised to see me dressed like my father and standing outside the Beaker mansion. But I had an important gift for her. “These documents should give you some very interesting information for your next book, Andie,” I told her. “You were one of the only people in this town who cared enough to help my father. I hope that now these will help you.” The box I gave her held copies of all the files I’d found pertaining to the illegal experiments the Beakers had done on my father and others. Circe was wandering aimlessly around the property, sobbing and muttering to herself. Andie glanced up at Circe, and then she looked at me rather fearfully. She looked alarmed and seemed rather cold to me as she departed. It made me wonder. Do you think I was too cruel? 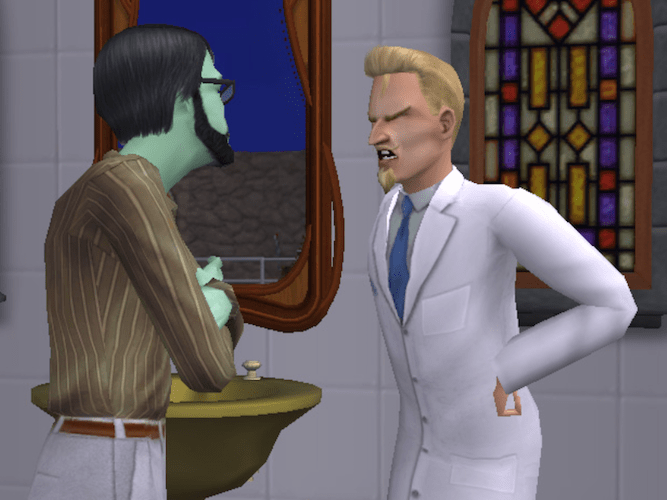 Was what I did worse than what the Beakers did to my father? Am I any less moral than the people who knew for years what was happening to my father and did nothing to help him? Were you perhaps one of those people? It doesn’t matter now, of course; it’s finished. 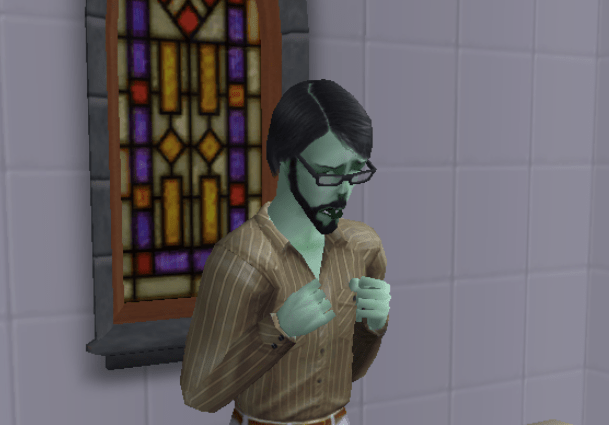 Circe will be spending the rest of her life with a zombie, not at all unlike how I spent my formative years. I can never tell my father what happened; I suspect he’d be horribly upset by the way I stirred up the demons of his past. But as I left the Beaker mansion for the last time, I felt the satisfaction of a job well done.